Christmas time at the Staub residence is quite an affair. It’s the one time of the year that all my brothers and sisters (all 9 of us) try to make it home to our parent’s house. With a group like that you can imagine there is usually an insane amount of food around. Every Christmas eve, I can count on a crock-pot full of meatballs, cheese, veggies, snack mixes, all kinds of nuts, chocolate, and most importantly….COOKIES. And I’m not talking about just one or two types of cookies, I’m talking somewhere up towards about 6 or 7. All made by the one and only Momma Staub. I don’t know how long before Christmas my mom starts making the cookies, but she makes enough to last a good week or so with all of us eating them, giving them away as gifts, and taking some back to our respective homes when we leave. They are all delicious, but my favorite is definitely these sugar cookies!!! It’s one of my aunt’s recipes that I hope I did justice. And guys, one of the ingredients is Crisco!!! 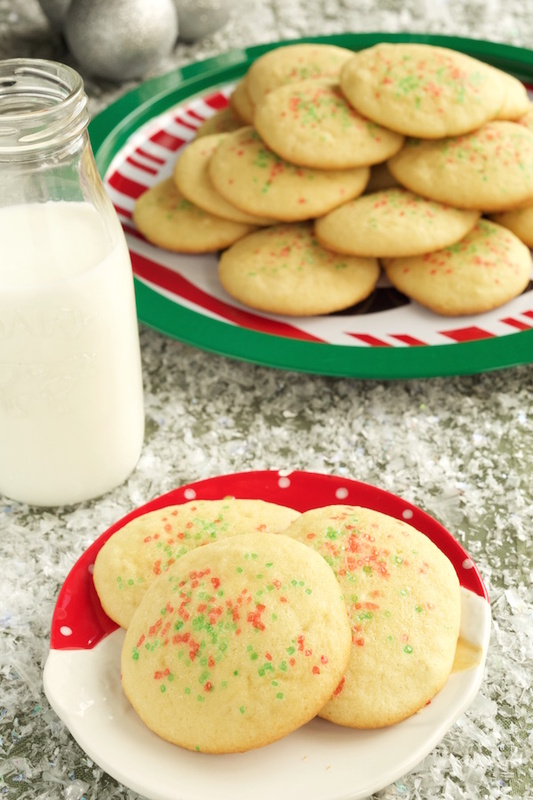 It may be old-fashioned but man does it make these cookies taste awesome! Try them! You won’t be disappointed. And Merry Christmas!!! 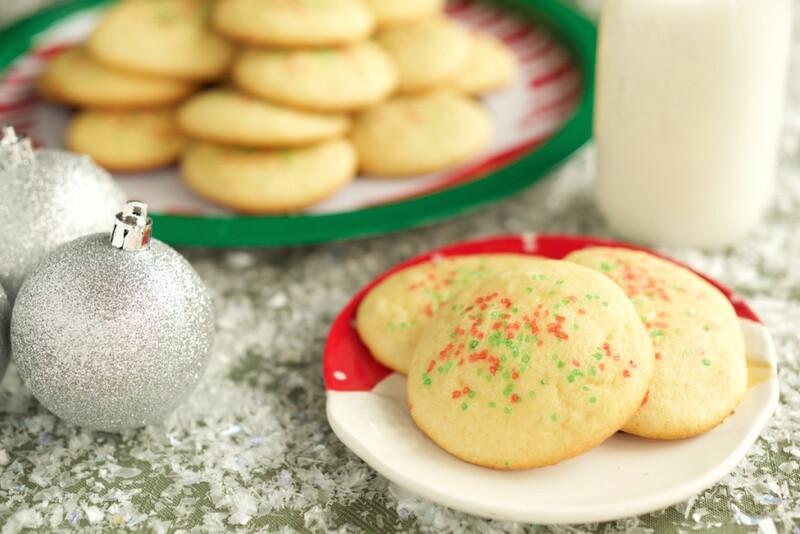 With a hand mixer or stand mixer, beat together sugar and crisco. Then beat in eggs. Alternate milk and flour mixture to sugar and crisco mixture. Once completely mixed, add in vanilla. Drop by tbsp on a cookie sheet lined with a silpat. Sprinkle with red and green sugar.